Many people debate the issues of human life and death, and use either science or religion to deny the claims of one another. But each one provides us with something valuable. Science offers us many valid and important ways to understand the beginning of human life from conception to the end of human life with death. This has given us tools with which to determine the causes of disease, abnormalities, and damage to the human body and discover treatments and cures. Along side of this, religion offers us many valid and important ways to understand God’s purpose for our human lives in the incarnation, life, death and resurrection of Jesus Christ. This has given us the assurance of God’s love, and the promise of eternal life. The Christian lens can be viewed in the story of Jesus in the New Testament within four different books, or Gospels. The word Gospel means “Good News” and it tells the good news of God entering into human relationship with us. The Gospels, (Matthew, Mark, Luke, and John) each reveal information about Jesus that was recorded by his followers. Biblical scholars believe that the Gospel of Mark, along with another source called “Q”, were two sources for the other Gospels. The first three Gospels, Matthew, Mark, and Luke are very similar and their stories are generally viewed together. For this reason they are called “synoptic” because they have similar viewpoints. But the Gospel of John does not have many of the same stories and adds other information not in the first three. As a result, many have disagreed about the historical accuracy of these stories of Jesus’ birth, life, death and resurrection. It is also important to remember, as in our first lesson that looked at the stories of Genesis, the Bible was not written as a factual account of history. Different authors for a different reason wrote each of the two creation stories in the book of Genesis. In the same way, the Gospels are not meant to provide a factual account of every word and action of Jesus. While there are details, such as locations and events, which can point to true facts, they were not written for that purpose. Different authors for a different reason wrote the Gospels to reveal how God meets us in the person of Jesus Christ. At the time of their writing, they were intended to tell of who God is by what God reveals in Jesus Christ. This is why Jesus is also called “Emmanuel,” which means “God with us.” The authors were not creating a scientific accounting of his life cycle, as there was no scientific understanding of conception or death, as we know it today. So how do we look at the belief of God’s work in Jesus Christ in light of scientific claims of human life and death? Certainly we can see through science how conception begins, but Christians are not talking about a purely human birth with the incarnation of Jesus. As you may recall, Jesus is both human and divine. Incarnation is the means through which God enters into our world for the purpose of salvation. The birth of Jesus is connected to his life, death, and ultimate resurrection. We can also certainly see through science how death occurs, but we are not talking about a purely human death, or a near-death experience that Jesus might have survived. While there are accounts of people having near-death experiences that are often thought of as a resurrection, these are not the same as the Christian understanding of resurrection. For Dr. Francis Collins and other scientists and theologians like him, they are able to look through the two lenses to see life in “binocular” vision. Binoculars are simply two smaller telescopes put together. When you look through a telescope with one eye, it is called monocular, or single vision. When you use both eyes at the same time, it is called binocular vision. As Bill Nye tells us, the brain takes in images from both eyes, and mixes them together to make sense of what we see. With only one eye we have “monocular” vision and can only see two dimensions. 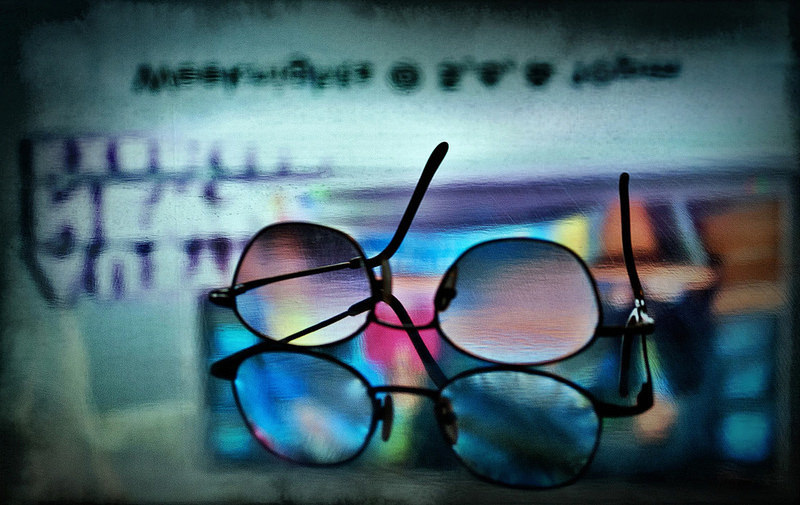 With BOTH eyes, or “binocular” vision, we can see three dimensions. By looking at the religious claims of a statement of faith or the second article of the Creed and the scientific claims of birth, life, and death through the two lenses of scientific and Christian understanding we can gain a full, or "binocular," perspective that includes both proof for how things work and an understanding of God’s promise and purpose for life. But it is important to remember that as we look at these claims through both lenses we don’t allow our brain to mix up the fact that science and religion each use different methods, ask different questions, and look for different answers! With this in mind, we can see the world from both perspectives. To see the world with a scientific understanding you don’t have to close your eyes to a religious understanding, and vice-a-versa. So when you look through the two lenses of science and religion, just remember, you can keep both eyes open! 1 Bradley C. Hanson, Introduction to Christian Theology (Minneapolis: Fortress Press, 1997), 132.